To show respect for our soldiers most people wear a poppy on our left sides over our hearts. This year it was noticed that more Canadians are wearing poppies which, in part, could be because of two soldiers who were recently killed here in Canada. 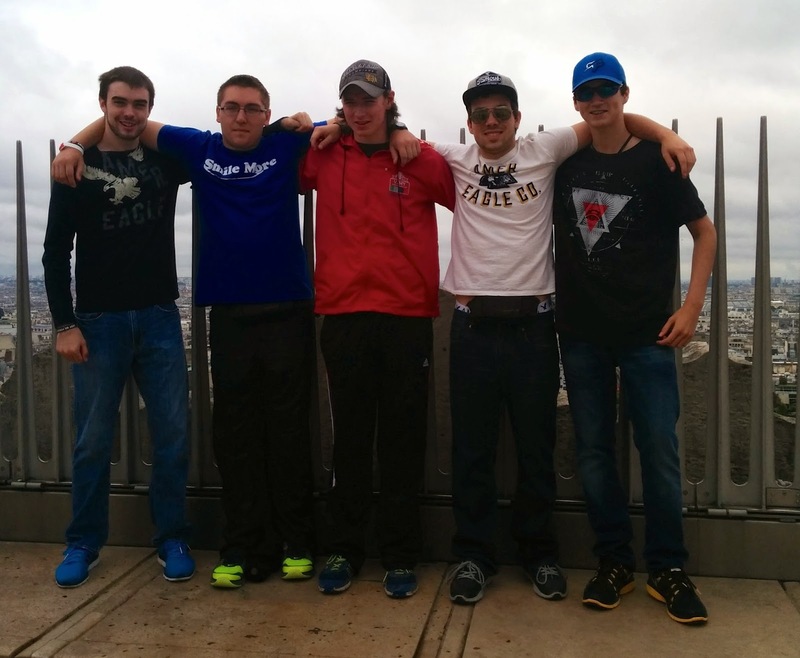 Below are some thoughts from students who went on a trip to Europe in June 2014. While they were there they got to visit the Canadian National Vimy Memorial in France that is dedicated to the memory of Canadian soldiers killed during the First World War. I always held Remembrance Day in high regard, in my opinion it is one of the most important days in the calendar year. It's a time when we remember the men and women who sacrificed their lives in order so that we could live in a free country. This summer I got the opportunity to visit Juno Beach, Passchendaele and Vimy Ridge while on a trip to Europe. All of these locations are very prominent in Canadian History. Juno Beach was the Canadian designated beach in the D-Day landings, Passchendaele was a World War I battle that claimed over 15,000 Canadian lives, and of course Vimy Ridge was the first victory that the Canadian military got on its own. Visiting these locations really made me realize just how much these men who fought during the first and second World Wars sacrificed to preserve our countries freedom. While at Vimy Ridge, we got to tour some of the underground tunnels which served as a home to many of the Canadian troops leading up to the actual attack on Vimy. I could not even imagine spending more than an hour in these tunnels, even the shortest person in our group had to duck sometimes to walk through doors or down hallways. Seeing these living condition and hearing the tour guide talk about how inhospitable these tunnels were in 1917 really opened my eyes to the sacrifices that these men made. We visited many Canadian cemeteries as well on our trip through western Europe. The cemetery that really made me realize how lucky and proud I am to be Canadian was one of the Normandy cemeteries. Walking down the rows of graves and seeing the ages of some of the men that participated in the D-Day landings was incredible. I stumbled upon a headstone with the age 17 written on it and was dumbfounded for words. Our lives were so different. I wake up every morning knowing what the day will hold, and I know that I will wake up the next morning. However, this boy woke up not knowing what the day was going to hold, and praying that he lived long enough to wake up the next day. Touring Vimy, Passchendaele, Juno Beach and all the surrounding cemeteries has given me stronger and deeper feeling of thankfulness for our veterans that served during WWI and II, Korea, Bosnia, the Middle East and really anywhere that the Canadian military has been. Because without their service, I know that I would not have the life that I have today. My trip to Europe has given me a better understanding of what these men went through and this in turn has increased my standing on Remembrance Day and its importance in our society. 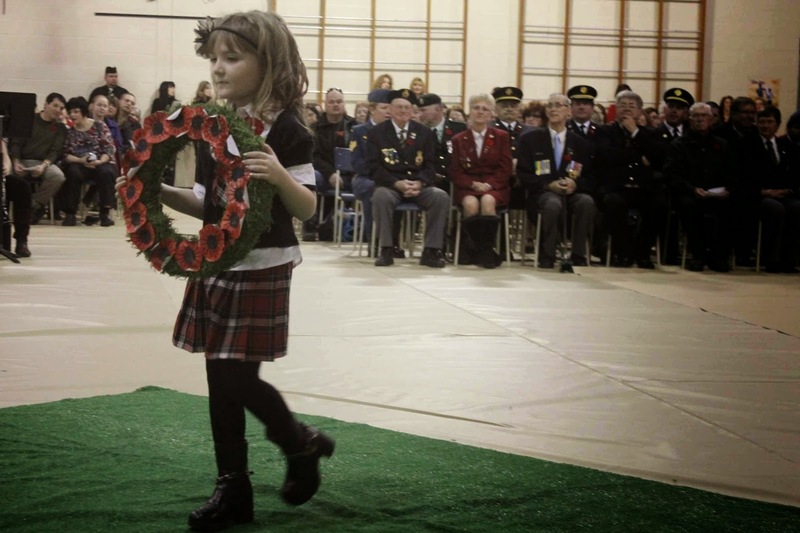 Remembrance Day is a day every year where citizens across Canada join together to commemorate the brave acts of the soldiers who fought for our freedom. Remembrance day has always been an important day to my family and me, because I've had many relatives who have fought over seas in certain conflicts. It is a day when we extend our thanks to those who were lost in order to live the great lives that we all have today. This past summer I had the amazing opportunity of taking part in a Canadian Battlefield tour across Europe. We went to very well-known battlefields, cemeteries, and landmarks that were once populated with Canadian soldiers in conflict. It was a very touching experience knowing that soldiers have lost their lives right on the ground I was standing on. I had moments where I was proud because of the bravery that past Canadian soldiers had, but I also had moments of sadness when I realized how many young lives were lost. I was fortunate enough to visit Juno Beach, Passchendaele, Vimy region, Normandy region, and countless other well-known war-time landmarks. My personal favourite part of the experience was the Vimy Ridge memorial. It was breathtakingly large and beautiful. I didn't realize the true size of the landmark until I was standing directly under its shadow. I was in awe for the most part of the trip because of the beautiful European scenery, and the Canadian history that surrounded me for the whole trip. I consider myself tremendously lucky for being able to travel across the world to see a place that is held so high in Canadian regard. Many people dream of seeing some of the landmarks I visited. My trip to Europe made me appreciate remembrance day more, and I have a better respect for Canadian gains, and also, much more respect for the losses. I will always look back on the amazing trip that I was part of.